Angel Cabales was the first escrimador to teach to the general public in 1966. This video also features Jimmy Tacosa who was one of angel’s high ranking students. Today, Jimmy Tacosa now lives in Hawaii. 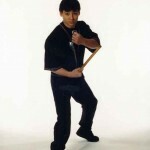 Angel Cabales practiced serada style of escrima.